Playing the Nintendo 3DS games would be challenging in your Android devices or in the iOS device. Running the Nintendo 3DS games will require the use of emulators to ensure that the games can be played on your Android and iOS mobile. The 3D view is the one that has led to the great challenge which on the other hand is very interesting to play games on your phone with a 3D display. This is a very important emulator especially for the android devices with a minimum RAM of 2GB. 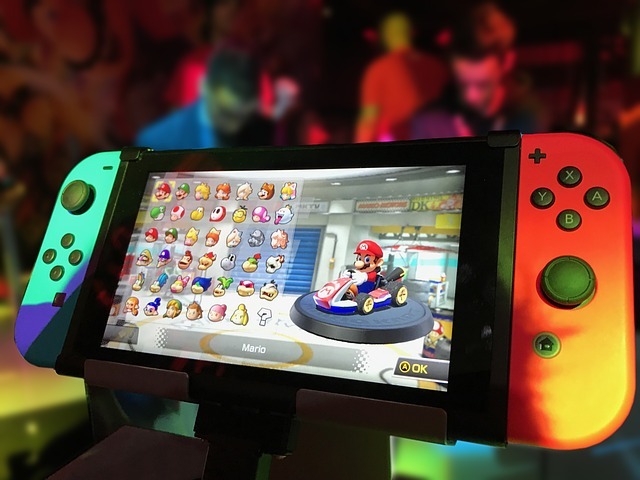 This emulator supports a variety of files making it essential for use in enabling your Android and iOS mobiles to enable the running of the Nintendo games. Some of the files supported by this emulator include; zip, nds, rar, and 7z. This emulator will allow you to load and save states with additional features of quick load, quick save and automatic saving. Where there are some game crashes, one will not require starting from the beginning but what you need is the adjustments of the display size and the customize buttons. This is a Nintendo game emulator for the Android and iOS devices which will support and be used in another gaming system such as the game boy, SNES and play station. This emulator is able to support these video games from the powerful interface i.e. Libretro that uses a feature known as OpenGL. It has cross-platform abilities making it be the recommended emulator to the first users of emulators as they will find it easy in use. Using an ‘Online updater’, you will be able to download the cores which are a requirement for the use of this emulator. Other features from this emulator include; editing controls, loading and entering cheats, directory scanning, multi-language support with other additional collections to the gaming systems. This emulator supports the game files such as; .rom, .rar, .zip and .ds format. After obtaining these files, you will be then required to open them in the app. The emulator prevents you from beginning at the start at points of crashes through the auto-save feature. The emulator, in addition, will improve the performance by disabling graphics and sounds. This is one of the best Nintendo 3DS game emulators for your Android device as well as the iOS devices. This is an emulator developed by Exophase a game developer for the Android devices. This emulator contains a variety of features which include personalizing your screen, the add-on controlling support, advanced 3D graphics, auto-saving states, Google drive synchronize, landscape or portrait supporting modes and fast forwarding. This app will have a pay to be made for its use but very important followed by the high-quality performance by the emulator. This is one of the other best video game emulator supporting the Nintendo 3DS games. The emulator is beneficial as it comes for free in use through its download from the play store. It contains a variety of features which include; audio and state saving, a variety of game support such as; .rar, .7z, and .ds. In addition, the emulator supports OUYA console making it one of the best emulators for the Nintendo 3DS games. The game performance is improved by this emulator through the deactivation of sound and in skipping frames. In addition, you can customize controls and save the states. This emulator will work perfectly for the android phones with the operating system of 3.0 and above. It will support the gameplay of the Nintendo 3DS games from a variety of its features found on this emulator. Some of its features include; loading and saving of games, provide cheat codes, microphone support, an interface for touchscreen, auto-rotation feature, customize controls. In addition to this, the emulator supports various ROM files which include; .ds, .rom, and .zip. The emulator can be downloaded from the Google play store or download the APK file then installing the emulator. This is one of the fast pace Nintendo 3DS emulator with one of the most updated features which are important for the use of your Android or iOS devices. The features following this emulator include; touchscreen interface, keypad, and Bluetooth feature. This makes it one of the best emulators due to the unique features which prevent your phone from hanging while playing the Nintendo games. This is another Nintendo 3DS emulator supporting the Nintendo games with other 64 game files. It contains a variety of features which include; loading of state and game saving, fast forwarding. The emulator comes with the additional benefit of being freely available for download and use. In addition, there are no any restrictions from this emulator. This emulator is usually available in two versions for the Android versions Lollipop and for the Marshmallow. The emulator works best for the Android devices though it can also be used for other devices such as the iOS device. Some of the features of this emulator include; loading and saving the game, editing the game screen. This is one of the other best Nintendo emulator available for your Android and iOS devices. This emulator is available for download from the Apitode App Store which requires the addition of the BIOS so that this emulator can work. In conclusion, the use of the Nintendo emulator ensures that you enjoy the use of the gameplay in your android devices as well as in your iOS. You don’t need to be in worry of whether the games will run on your devices. What you need is just download one emulator you love and have the games running on your device as the actual game in their original state.